Bullara Station Stay is the ideal stopover if you are travelling along the Coral Coast between Coral Bay and Exmouth. Alternatively, it’s a great location to simply unwind from the rush of everyday life or to base yourself for a few days to day visit Coral Bay and Exmouth. The station is a must see if you appreciate the wonders of raw landscapes and enjoy dipping your toes in the soothing ocean off the Coral Coast. 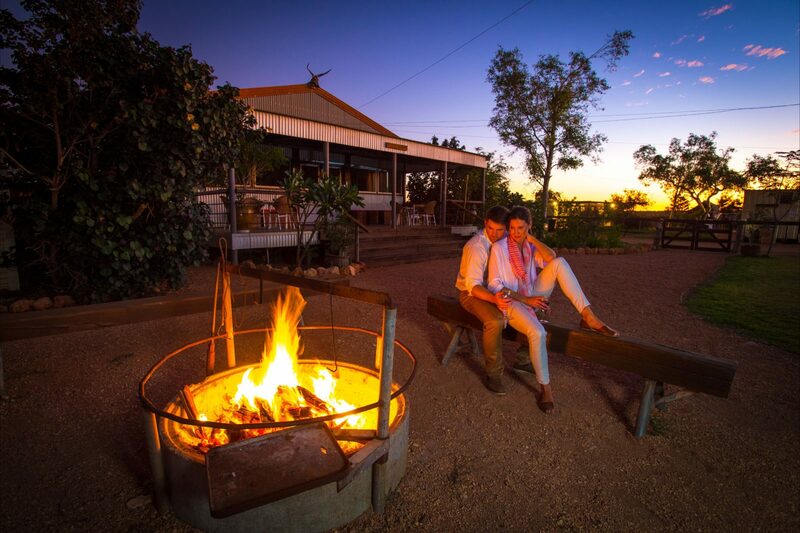 The stylishly renovated shearers lodge is set amongst the diverse Australian landscape. Here, a maximum of 16 guests are able to explore, relax and unwind. The two cottages are great for guests who would like to stay for three days or more, they can accommodation up to seven guests. Single air-conditioned ensuited quarters are available. Immerse yourself in the huge variety of flora and fauna that makes this working cattle station unique. Enjoy a drink around the fire pit and star gaze, prepare a feast in the communal kitchen and take in a sunset from the bar. 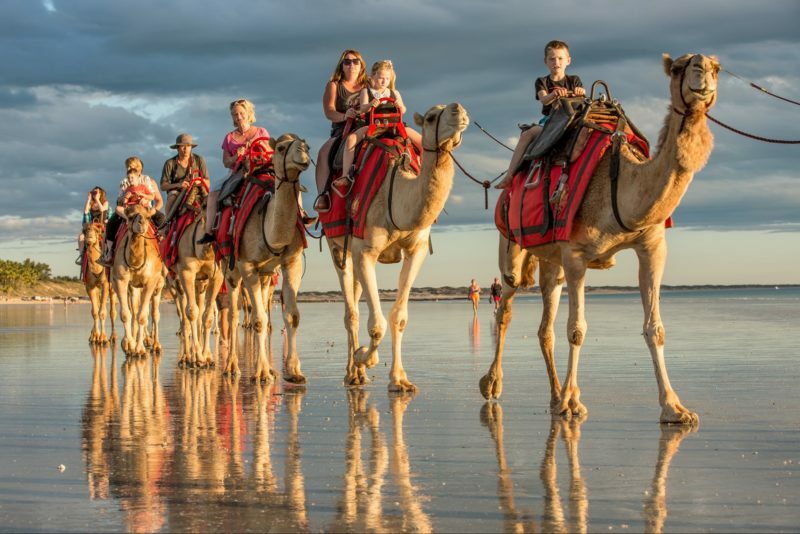 Ideally located between Coral Bay (65 kilometres south) and Exmouth (86 kilometres north) along the Burkett Road, Bullara Station Stay is a unique and wonderful holiday destination. Spacious cottage with timber verandas overlooking the home paddock. Stylish and unique cottage in a spacious bush setting offering the comforts of a home-away-from-home. Relax on the veranda and look out for kangaroos and goannas passing by. From here you have a magnificent view of the Droughtmaster cattle grazing in the home paddock. This cottage sleeps up to seven guests –two queen rooms and one room with two king single beds. There is a separate lounge with television, DVD player and a good supply of books. Fully equipped kitchen with lots of storage, dining table and full refrigerator and freezer. There is also a gas stove/oven and a microwave. Ceiling fans throughout with a central air-conditioner in the lounge. There is a separate toilet and bathroom with shower. There is also a barbecue, fire pit and hammocks – this is a perfect home-away-from-home for family and friends. There is also access to washing machines. A lovely cottage nestled in the stunning Australian Outback. Make the most of living at one with nature – listen to the birdsong from your hammock on the deck by day, and stargaze by night at your private fire pit. Raised on stilts with a sweeping deck, it is the perfect spot to relax with a wine and your binoculars. This accommodation consists of one queen room, one double room and a sleep out with two single beds. Fully appointed kitchen – full size fridge/freezer, gas stove/oven, microwave, lounge with television and DVD player. Air-conditioned with ceiling fans. Bathroom with shower, separate toilet and laundry. Large spacious veranda with barbecue, tables and chairs along with a couple of hammocks. This accommodation suits all guests, especially those seeking privacy from the main hub of the campground. This accommodation with its far-reaching veranda and relaxing chairs is perfect for larger groups. This quiet part of the station has great views of their gumtree haven with plenty of wildlife and birdlife. Take a short walk to the top of the hill to see what is on offer at Bullara Station. 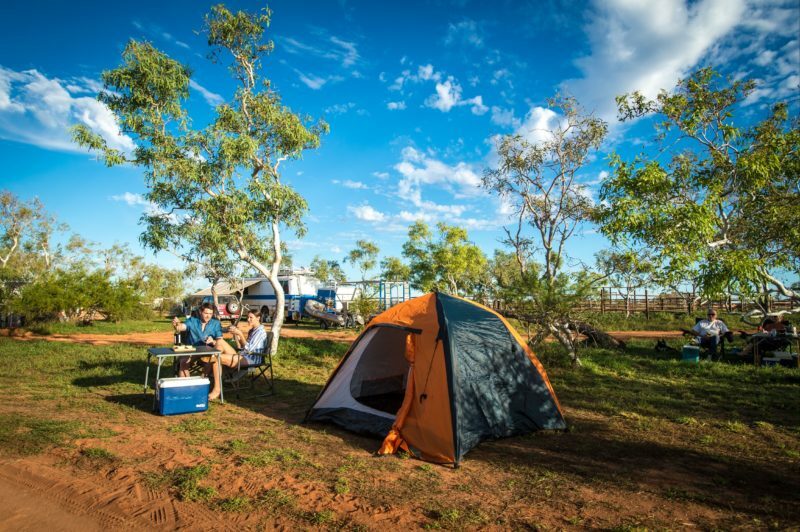 The Outcamp consists of 12 individual rooms all with a King Single bed, en suite bathroom, air-conditioner, commercial television and a bar fridge. As part of this complex you will have access to a commercial kitchen, laundry, fire pit and barbecue. You will not be disappointed with these communal spaces. Perfect for a corporate group, school groups and contractors. Full catering can be available. Refurbished with cool concrete floors and new tin walls the style is rustic charm with a fabulous contemporary flair. Everyone is charmed by uniqueness of this accommodation. Guests have exclusive access to comfortable living which includes shared kitchen/dining facilities, barbecue area and a fire pit. Experience outdoor communal toilets and showers. Each of the six rooms are side by side with a common veranda adorned with chairs and a hammock. The lodge is perfect for couples, a group of friends or family… book the whole place out for your next holiday. There is a communal dining room and self-contained kitchen with all amenities needed to prepare a fabulous feast. This facility is exclusive to the guests in the lodge. Tropical gardens with a green lawn, barbecue area and fire pit, makes this space a relaxing oasis. There is no television here, time is best spent around the campfire with loved ones. Accommodation in the lodge consists of four queen rooms with a Queen bed and King Single bed (which allows for the rooms to become a triple) and two twin rooms (one has a King Single and Single bed, the other has single bed bunks). 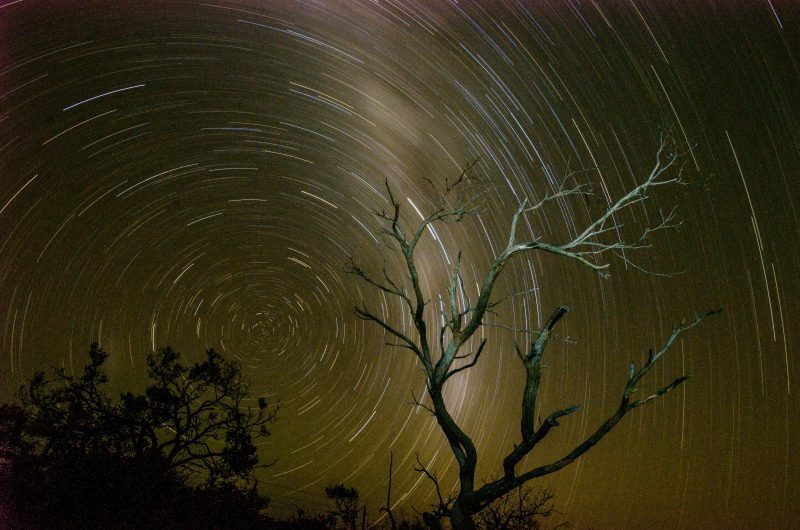 Set your Caravan/Camper Trailer/Tent up under the stars on a powered or unpowered camping site (including generator area). Campers are welcome to utilise the outdoor showers under the stars, clean and spacious ablution blocks and the communal barbecues. Communal camp kitchen is provided. Happy hour is at 5pm daily and there is complimentary damper five days a week. Dinner Nights are as advertised. There are walking trails from the camping grounds and lots to see around the station. There is a four-wheel-driving track to the Exmouth Gulf, fishing and exploring; set up on the deck and have a barbecue lunch. Access to the Camping Grounds is two-wheel-drive accessible. Prices range from AUD6 for a child camping to AUD500 for 6 people in a cottage. See website for pricing and availability.